Innovation cycles continue to get shorter. In the meantime, Industry 4.0 is increasingly blurring the lines between the various sectors of industry. These are trends that manufacturers around the world need to focus on, no matter how large or small they are. At Intergroup, we are adapting to this new reality. 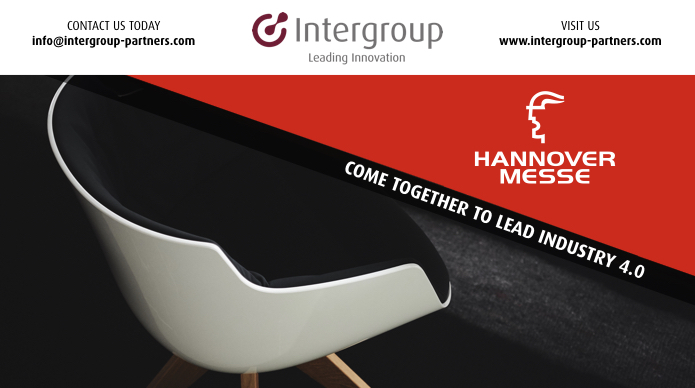 Come and join us at the Hannover Messe from April 24th through April 28th. Let’s discover and connect with the latest version of Industry 4.0. We work closely with your team to explore what moves Industry 4.0 forward. We spot tech trends and explore new research topics. From energy efficiency, to networking components and machines. No matter what we do, there’s a thinking machine in our future.